BLOOMhouse is at home in the solar-focused research environment of the McDonald Observatory. Public tours: Contact the observatory at 432-426-3640 for tour information. The University of Texas at Austin's BLOOMhouse briefly returned to campus following the U.S. Department of Energy Solar Decathlon 2007. 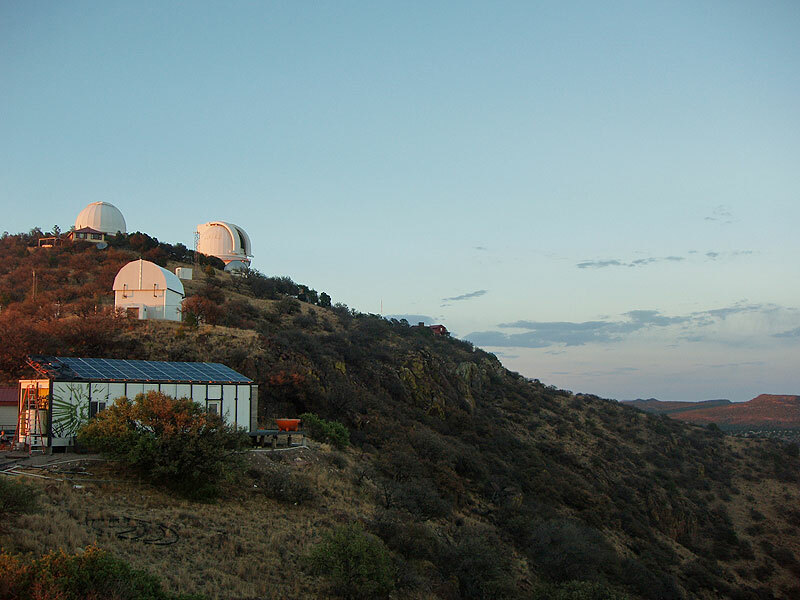 Faculty and students from the School of Architecture then relocated the house to the McDonald Observatory in the Davis Mountains of western Texas. In March 2008, the team reconstructed the house on the Mount Locke site of the Millimeter Wave Telescope. BLOOMhouse is very much at home in this solar-focused research environment, where visitors to the observatory can tour an exhibit called "Our Star, the Sun" as well as safely observe the sun from a theater in the Frank N. Bash Visitors Center. BLOOMhouse is not only helping power scientific research but also serving as staff housing and providing data on home energy efficiency. In addition, BLOOMhouse's 7.6-kW rooftop photovoltaic system produces so much surplus energy that it was connected to a neighboring house and another nearby structure. "The installation of the BLOOMhouse forges one more link in the chain connecting McDonald Observatory to the stars," says Michael Garrison, faculty advisor to the University of Texas Solar Decathlon 2007 team.